Last Raven Portable has been announced for the PSP platform, and if the promo video shows anything, it looks like its gonna be epic. 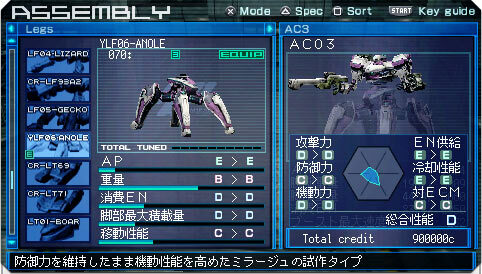 All parts from the previous Armored Core Portable titles will be included in Last Raven Portable. Buyers of the UMD version will also be treated with a 60 page freebie booklet titled “AC Chronicle Art Works” as seen from the promo vid. Screen shots of the new parts and the official promotional video after the jump. 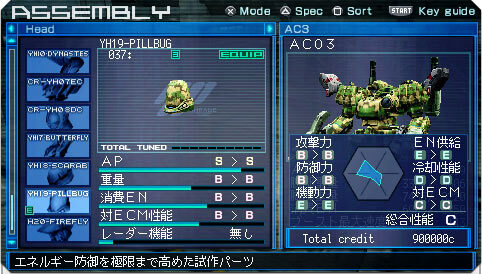 We’ll be having 2 new heads, the PILLBUG (EHD-DOME from AC2 and AA) and FIREFLY (seems to be a new design). They also changed the names of existing AC3P and SL portable parts to reflect with NX-LR name changes (GLITCH head is now some random Crest serial number, and Mirage heads are now named after insects). And a new quad leg set, looks like the fastest one from MOA. In addition, the quad is carrying something that closely resembles the S/NIGHT EN sniper rifle from AA. 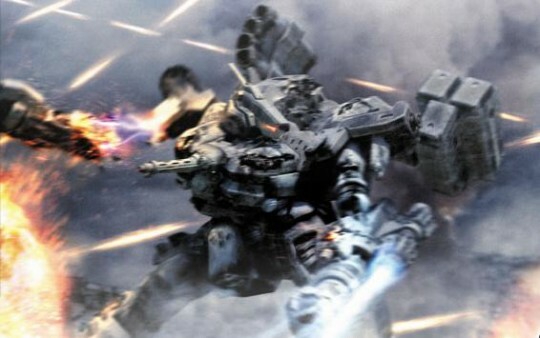 Armored Core Last Raven Portable is scheduled to be released in Japan on March 4, 2010. I might consider buying one (as long as I don't have to import it from Japan) for collection's sake. I predict painful times for fingers and thumbs everywhere. Does any body know if Last Raven Portable is going to be released in United States? No word on this nor a Silent Line Portable US release yet. But given that AC3P was indeed translated, there's a big chance that these two titles will be as well. Be sure to keep tuned here for more info. I really hope that's only a rumor, B/C I want to enjoy this game with spoils not available in the ps2 version.. I mean, come on loaded with new features has to mean something besides shiny new parts :/. Damn damn daaaaaamn!!! No op-I! DX somebody anybody make a save with a gameshark code for op-I to be available! !